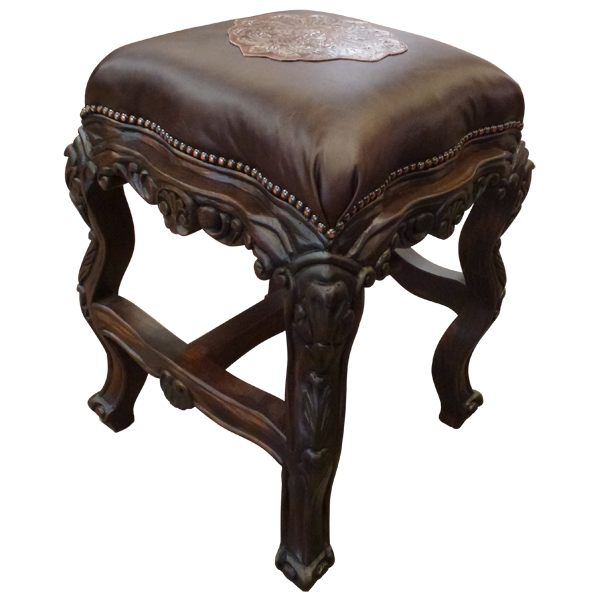 Reflecting its Spanish colonial legacy, this stationary handcrafted bar stool has many of the same features found in traditional Baroque style furniture. The seat is upholstered with rich, brown full grain leather carefully hand tacked around the entire wood base by our skilled craftsmen. 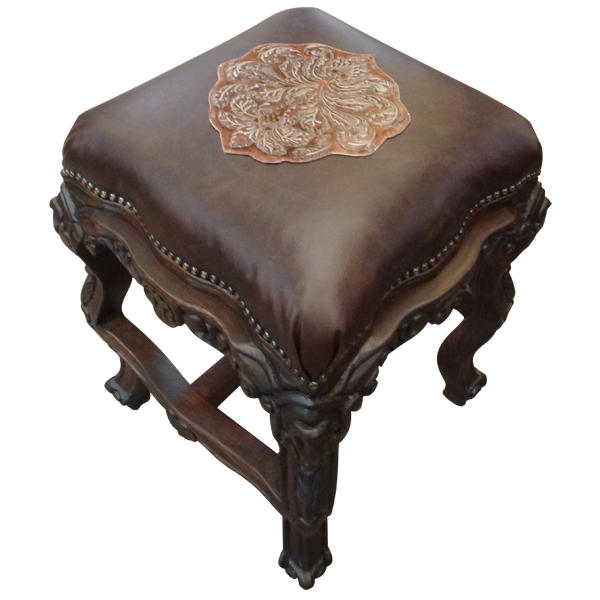 Centered in the top of the seat is an ornate full grain leather embroidered floral design. 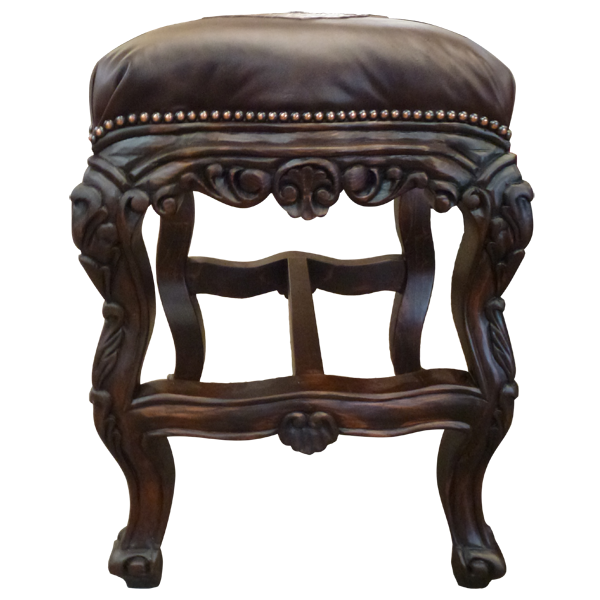 All main accents of the bar stool have beautiful, ornate hand carved floral designs and scrolling. All hand carving is performed by our skilled craftsmen. The long cabriole legs are joined by a midway “H” stretcher decorated with hand carving. The feet are also hand carved. Both beautiful and durable, the bar stool is made with the best wood available. It is 100% customizable.